Micheal Sandbank has worked with individuals with disabilities across all age groups, both as a teacher and an interventionist. Presently, she researches factors that influence language acquisition in young children with autism and other developmental disabilities. 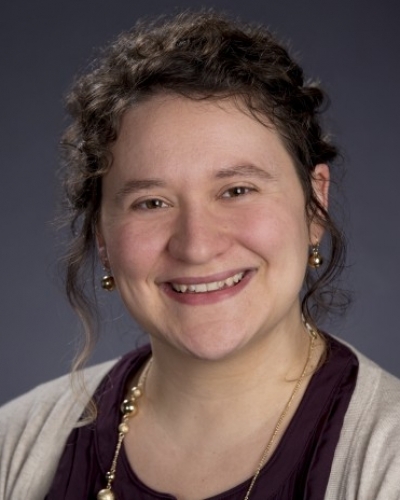 Her program of research involves the analysis of multiple types of data, including naturalistic language samples and neural measures of speech processing in young children. Dr. Sandbank is particularly interested in the use of neural measures of speech processing to identify clinically useful practices for language intervention for young children with disabilities. She also specializes in specific research methodologies, including meta-analysis and generalizability theory. Dr. Sandbank is the head of the Brain and Language Lab and is currently accepting doctoral students. Albarran, S. & Sandbank, M. (2018). Teaching Non-target Information to Children with Disabilities: An Examination of Instructive Feedback Literature. Journal of Behavioral Education, 1–34. Sandbank, M. & Cascio, C. (2018). Using a motion-tracking device to facilitate motion control in children with ASD for neuroimaging.. Developmental Neurorehabilitation, 1–11. Wilson, J., Chen, D., Sandbank, M. & Hebert, M. (2018). Generalizability of automated scores of writing quality in grades 3-5. Journal of Educational Psychology. Sandbank, M., Woynaroski, T., Watson, L., Gardner, E., Keceli Kaysili, B. & Yoder, P. (2017). Predicting Intentional Communication in Preverbal Preschoolers with Autism. Journal of Autism and Developmental Disorders, 47(6), 1581–1594. doi:10.1007/s10803-017-3052-1. Sandbank, M., Yoder, P. & Key, A. (2017). Word processing in children with ASD: Evidence from event-related potentials.. Journal of Speech, Language, and Hearing Research. Sandbank, M. & Yoder, P. (2016). The Association Between Parental Mean Length of Utterance and Language Outcomes in Children With Disabilities: A Correlational Meta-Analysis. American Journal of Speech-Language Pathology. American Journal of Speech-Language Pathology, 25(2), 240–251. Graham, S., Hebert, M., Sandbank, M. & Harris, K. (2016). Assessing the writing achievement of young struggling writers: application of generalizability theory.. Learning Disability Quarterly, 39(2), 72–82. doi:10.1177/0731948714555019. Yoder, P., Tostanoski, A. & Sandbank, M. (2014). Adding modeled speech-generating device use to a naturalistic language intervention facilitates generalized communicative spoken utterances immediately after treatment and generalized gains on declarative use 12 weeks after treatment ends in children with ASD who began treatment in the "word combination" stage. Evidence-Based communication Assessment and Intervention(8), 157–162. Sandbank, M. & Yoder, P. (2014). Measuring representative communication in young children with developmental delay.. Topics in Early Childhood Special Education, 34(3), 133–141. doi:10.1177/0271121414528052. Bottema-Beutel, K., Yoder, P., Woynaroski, T. & Sandbank, M. (2014). Targeted interventions for social communication symptoms in preschoolers with autism spectrum disorders.. Handbook of Autism Spectrum Disorders (4ed., pp. 788–812). Hoboken, NJ: Wiley. Yoder, P., Bottema-Beutel, K., Woynaroski, T., Chandrasekhar, R. & Sandbank, M. (2013). Social communicative intervention effects vary by dependent variable type in preschoolers with autism spectrum disorders.. Evidence-Based Communication Assessment and Intervention, 7, 150–174. doi:10.1080/17489539.2014.917780. Parents across the world use a special kind of speech when they speak to young children and babies: they speak slowly and they use high and exaggerated pitch. Some call this type of speaking "baby talk" or child-directed speech. Most babies show a natural preference for this kind of speech, and new evidence shows that it helps young children learn language. The goal of the kid talk study is to understand what happens in young kids brains when they hear words presented in child-directed versus adult-directed speech. Young word-learning children will come to our kid-friendly lab and listen to words (like 'ball' and 'book') and nonwords (like 'teg' and 'neem') spoken in child- and adult-directed speech, while a hat of sensors records their brainwaves. Do young children exhibit a stronger neural response to words presented in baby talk? Does this change as they develop and learn more words? The answers to these questions can help us to better understand how child-directed speech helps young typically developing children learn language. While most babies and young children show a natural preference for kid talk, or child-directed speech, some children with autism do not seem to "tune in" to kid talk in the same way that their peers do. Some recent evidence suggests that a lack of attention to this kind of speech may make language learning difficult for young children with autism. The goal of the word processing and autism study is to understand what happens in the brains of young children with autism as they hear words presented in child- versus adult-directed speech. Young children with autism that are just beginning to learn words will come to our kid-friendly lab and listen to words (like 'ball' and 'book') and nonwords (like 'teg' and 'neem') spoken in child- and adult-directed speech, while a hat of sensors records their brainwaves. Do young children with autism exhibit a stronger response to words presented in kid talk? Is it similar to the response exhibited by young typically developing children? Does the strength of their response to words spoken in kid talk or adult-directed speech predict the number of words that they know? The answers to these questions can help us to understand how different types of speech help children with autism learn language, and to consider ways to improve treatment practices. Children can learn many skills through imitation, but children with autism often struggle to develop the ability to imitate. 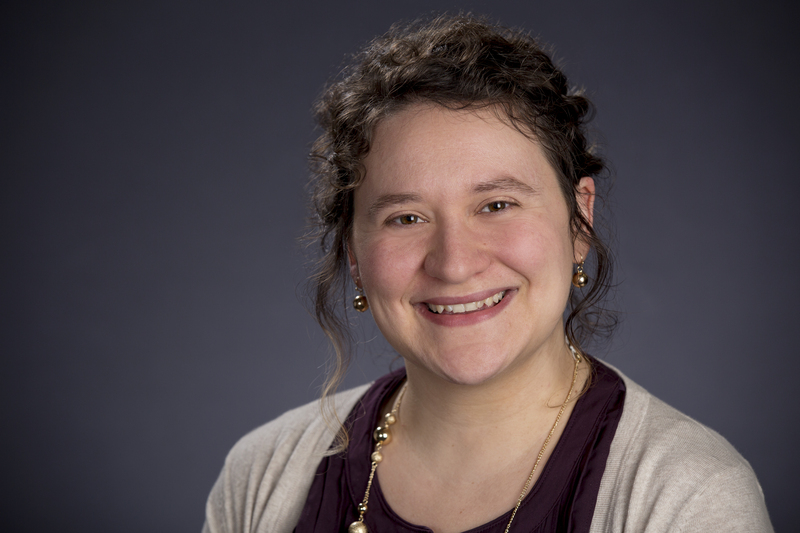 With supervision from Dr. Micheal Sandbank, doctoral student Nicolette Caldwell is conducting a study to compare two different interventions for teaching children with autism to imitate. As part of this study, all participants will receive 12 20-min intervention sessions over the course of 6 weeks, delivered in their home or a convenient location. Parents and participants will also complete a 15-min play session, which will be video-recorded, before and after the intervention. The results of this study will help us to determine the best method for teaching young children with autism to imitate so that they can continue to learn other skills through imitation over the course of childhood. n 2011, a review of early interventions for children with autism published in the journal Pediatrics indicated that only 2 high quality group design studies had been published on this topic. The authors of the review concluded that our knowledge about the effectiveness of early intervention for children with autism was limited. The past five years has seen a tidal wave of studies published in this area. Dr. Micheal Sandbank of the Brain and Language Lab, in concert with colleagues from the ACER Lab at Boston College and the BAND Lab at Vanderbilt University, has systematically identified over 150 group design early intervention studies. We are now working to quantitatively synthesize the results of these studies, in order to better understand the overall effect of intervention and how it varies by approach, child, and study method in this clinical population. We are also planning to summarize the quality of the early intervention studies that we located, and the extent to which interventions are able to impact generalizable, developmentally important outcomes. The Brain and Language Lab examines language development in young typically developing children and those with developmental disabilities using brain and behavioral measures. We strive to conduct research that will inform us about potential treatment approaches when language is delayed.